Get some Grillin' Magic TODAY! 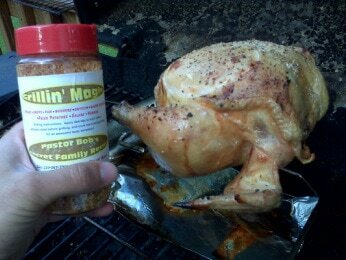 ​Order your seasoning right here in our online store. Payment is easy and secure! A confirmation receipt will be sent to your email upon purchase. Thanks for supporting Grillin' Magic! 3 - 16oz bottles at a great price! ​Nearly twenty years ago, I was looking for something to "spice" up my rib-eyes. Long story short . . . Grillin' Magic! To be honest, we didn't even have a name for it. For a few years, it was just me and Cathy Jo enjoying steaks, chops and chicken tastin' better than we could ever get them in a restaurant. As time passed, friends and family wanted in on the great taste sensation. The word began to spread and the applications for Grillin' Magic also began to "sprinkle" in as well. After fifteen years of scraping labels off old spice bottles and buying retail ingredients, it was our family that talked us in to go through the process of retailing my creation. Searching the internet for wholesale ingredients, inexpensive bottles, and just the right caps (honestly, that was one of the tough ones . . . the cap lets all the stuff come through in just the right proportions); well, it was a process, for sure. Honestly, in all these years, the "secret family recipe" has never even been tweaked . . . what you have in the bottle, you hold in your hand, is just the way it was created! One more thing . . . don't try to con me out of the recipe! We've told hundreds of friends, "If I tell you the recipe, I'll have to kill you!" Top secret - duh, "Secret family recipe!" You have to marry into the family to get it . . . and both of our kids are married - so that's not going to happen. So, enjoy . . . quit trying to figure out what's in that bottle, and pass it on to your friends. "We love Grillin' Magic! Even our kids eat their veggies when we put Grillin' Magic on them!" "Seems you've added online ordering since I last visited your website. ​Makes it very easy to order. Thank you!" 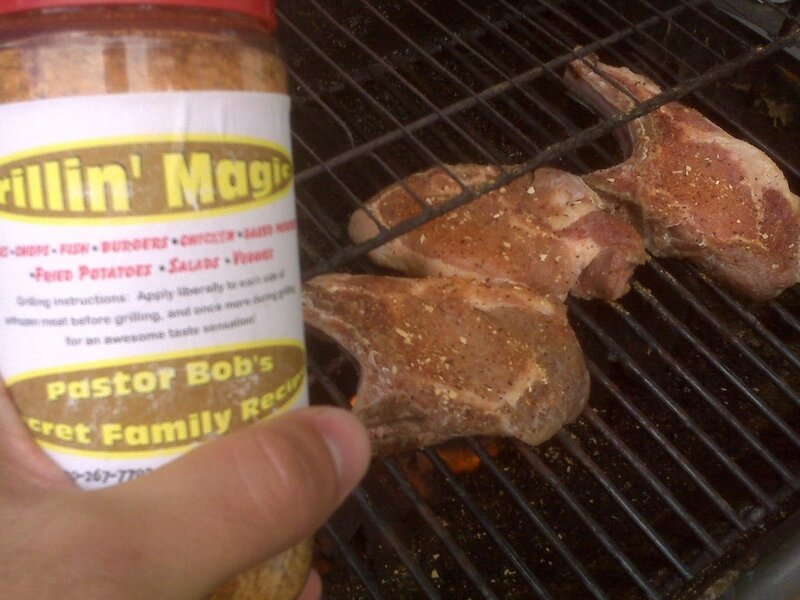 "Our whole family loves your Grillin' Magic!!! But my 12 year old daughter LOVES it the most! She asks for it on everything. And then adds more before she eats it :) GREAT RECIPE!!!"